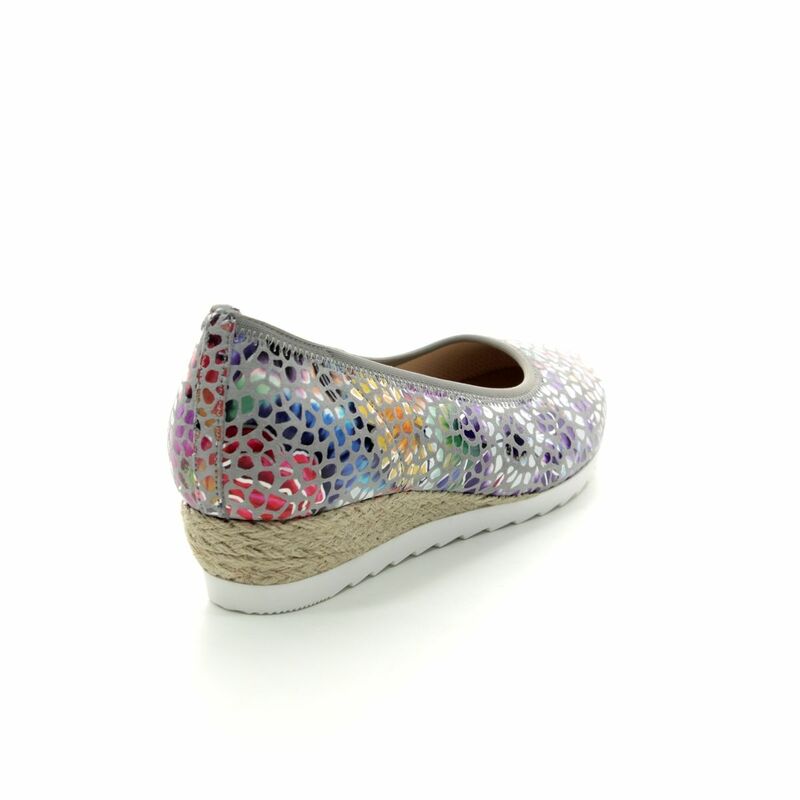 The Gabor Epworth (22.641.24) is a colourful wedge shoe. 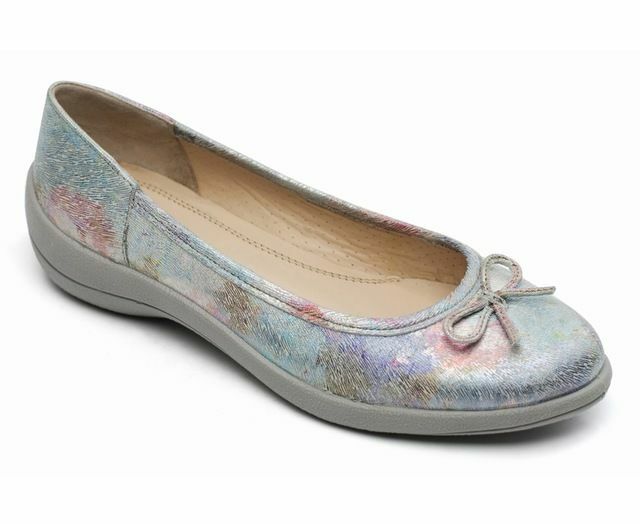 This stunning low wedge just screams summer with a beautiful multi coloured mosaic pattern across the grey leather upper. With a stitched stretchy topline of the shoe and a gorgeous floral design, this women's wedge is as practical as it is pretty. A contrasting white grooved outsole will help to improve grip, and the woven hessian covered 25mm wedge heel will give you a little lift whilst the wide base will help to stabilise your posture. This floral mosaic wedge shoe will compliment any number of outfits, be it worn with cropped trousers and a linen top, a skirt or even dressed up with a dress for a summer evening. 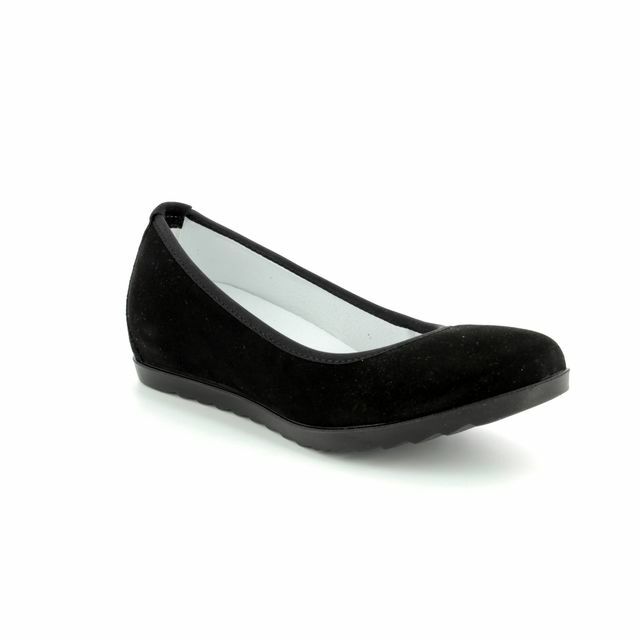 Buy your Gabor wedges from Begg Shoes, an official stockist of Gabor footwear.